Iran's Foreign Minister Mohammad Javad Zarif's comments late Saturday came a day after the Pentagon revealed plans to revamp its nuclear arsenal, largely in response to a perceived renewed threat from Russia. Iran's nuclear deal lifted some international sanctions in exchange for curbs to its nuclear programme. 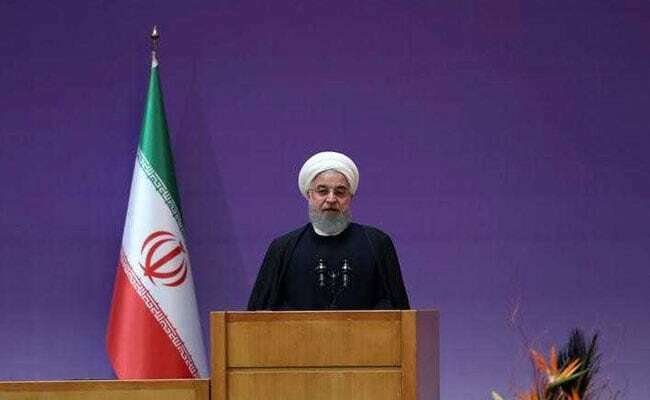 Tehran: The United States' new nuclear policy brings humanity "closer to annihilation", Iran's Foreign Minister Mohammad Javad Zarif has said. His comments late Saturday came a day after the Pentagon revealed plans to revamp its nuclear arsenal, largely in response to a perceived renewed threat from Russia. Zarif said the new policy was "in violation" of the international Nuclear Non-Proliferation Treaty (NPT). "The US Nuclear Posture Review reflects greater reliance on nukes in violation of the #NPT, bringing humankind closer to annihilation," Zarif said on Twitter. Zarif said the same impulse was driving the United States to undermine the 2015 nuclear deal with Iran, which President Donald Trump has demanded be renegotiated. "Trump's obduracy in killing the #JCPOA stems from the same dangerous imprudence," Zarif wrote, using the technical name for the nuclear deal. The latest Nuclear Posture Review published by the Pentagon called for a larger arsenal of smaller, low-yield nuclear weapons to act as a more "credible" deterrent to threats, particularly from Russia. The NPT, which came into force in 1970 and has been signed by almost all countries including the United States, calls on nations "to achieve at the earliest possible date the cessation of the nuclear arms race and to undertake measures in the direction of nuclear disarmament". Iran's nuclear deal, reached with six world powers, lifted some international sanctions in exchange for curbs to its nuclear programme. Trump has consistently attacked the accord and said in January he would not continue to waive sanctions unless new restrictions were placed on Iran's missile programme and wider actions in the Middle East. The other parties -- Britain, France, Germany, Russia and China -- as well as the European Union have strongly defended the deal, saying it has achieved its aim of limiting Iran's ability to build a nuclear weapon. Trump To Build US' Nuke Arsenal Till Russia, China "Come To Their Senses"
Iran Foreign Minister Tweets Back At Donald Trump: "BE CAUTIOUS"